Book News: Neil Gaiman Revives 'Sandman' Comic Series : The Two-Way Also: Reading Gabriel García Márquez in simulated space; drawings by Jorge Luis Borges and Sylvia Plath; Philipp Meyer on writing. Writer Neil Gaiman attends a screening for Coraline on May 5 in Hollywood, Calif. 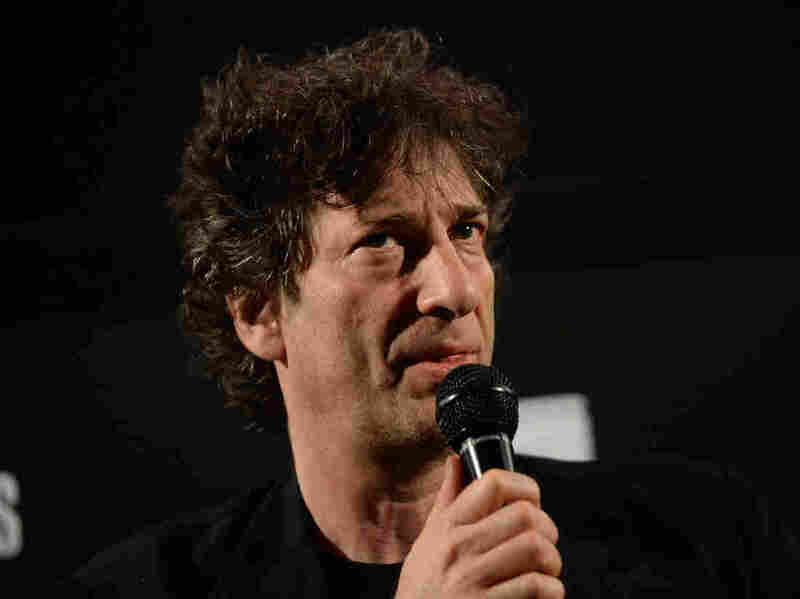 The vastly prolific fantasy author Neil Gaiman is bringing back his popular Sandman series that ended more than a decade ago, the DC Entertainment imprint Vertigo announced Monday. The Sandman: Overture #1 will be illustrated by J.H. Williams III and published on a bimonthly basis, beginning in October. Norman Mailer reportedly loved the popular series, once calling it "a comic strip for intellectuals." DC Entertainment President Diane Nelson said in the press release that "Neil Gaiman returning to the lush, evocative world he created with Sandman is a literary event." The announcement comes a mere two weeks after the publication of Gaiman's most recent novel, The Ocean at the End of the Lane. Italian space engineer Diego Urbina describes reading Gabriel Garcia Marquez (very appropriately) while cooped up in a mock spacecraft on a 520-day simulated Martian voyage: "The themes Gabriel Garcia Marquez writes about were very similar to what we were going through. He's talking about loneliness, his stories take place over long periods of time. I felt so identified with the characters." The Son author Philipp Meyer talks about confidence, writing and why post-modernism is "the most narrow and awful movement that has ever [expletive] existed" in an interview with The Millions. He says of the writing process, "Salman Rushdie gave a talk to my class at Michener. It was great because he had two failed novels. He said, 'Of course I thought my early works were works of genius. And they sucked.' I think that delusion is crucial." Open Culture features two strange, spidery drawings by Jorge Luis Borges — one of a couple doing the tango and another titled "The Hydra of the Dictators" showing a monster with the heads of Mussolini, Hitler, Marx and Argentinians Juan Manuel de Rosas and Juan Peron. Jonathan Lee interviews the legendary literary agent Nicole Aragi for Guernica: "I've had my biggest successes with books that haven't been obvious. I try to always bear that in mind. Books that others have rejected, books that seem too messy to work. You need to be open to things that others might not get, or might be scared of. Publishing is about matchmaking. You have to get it and then find just one other person who gets it." Little-known writer David Constantine won the world's most valuable short-story prize, the Frank O'Connor International Short Story award, for his collection Tea at the Midland and Other Stories. He beat out more famous writers such as Joyce Carol Oates for the 25,000 euro prize (about $33,000). Constantine told The Guardian that he's frustrated by the sidelining of short-story writers: "There is colossal pressure from mainstream publishers to do novels — the novel is seen as a superior form, as if you're working towards graduating to a novel." With HarperCollins coming out with a collection of Sylvia Plath's drawings later this year, TIME magazine spoke to Plath's daughter, Frieda Hughes: "For years I really wasn't conscious of my mother's drawing, until my father [the poet Ted Hughes] actually gave them to us. Because although he said that my mother drew, my father would sit down and sketch and things would grow out the ends of his fingers onto the page, and he was just the most superb natural sketcher and drawer. So I used to assume that my love of painting or my desire to paint, if it's genetic, then perhaps I got it from him, and he'd say, no, no, no, no, from your mother, from your mother." You can see some of the charming pen-and-ink drawings at Maria Popova's Brain Pickings.